1/1800th scale South Dakota Class Battleship model. Certain elements not to scale. Four South Dakota Class battleships were commissioned by the US Navy in 1942. They sported nine 16 inch guns and an array of secondary armament. They were more space efficient than their predecessor class, the North Carolina class, which allowed them to be smaller while still having better armor. The battleships saw service throughout the war in both the Atlantic and Pacific theaters. There are two surviving South Dakota Class ships; USS Massachusetts, and USS Alabama. 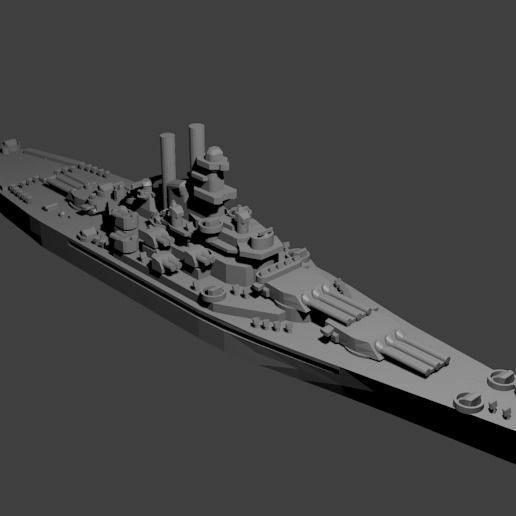 Included are models for each of the four battleships in class.